Ladakh is the land beyond the Himalayas. On a visit to this remote, majestic outpost of India, Vikram and Aditya camp out on the lofty Changthang Plateau. Here, they meet a young Tibetan boy named Tsering. But Tsering is unexpectedly abducted and Aditya pulls off a daring rescue. Suddenly Vikram and Aditya are on the run. On the frozen plateau, often referred to as the ‘Roof of the World’, the two friends play a dangerous game of hide-and-seek with a band of mysterious men. Traversing the barren wastes of Ladakh, the story moves to the mountain-city of Leh. Who is Tsering? Why is he being chased by such fierce resolve? Discover the fascinating secret of Tsering in this fast-moving adventure tale. 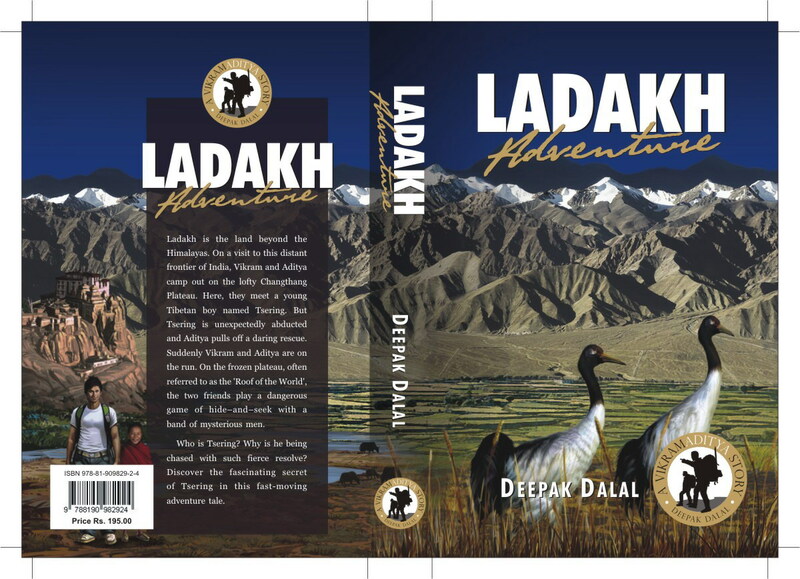 ‘Ladakh Adventure’ is another enthralling VikramAditya story, set in a wondrous land of startling contrasts and magnificent mountains.